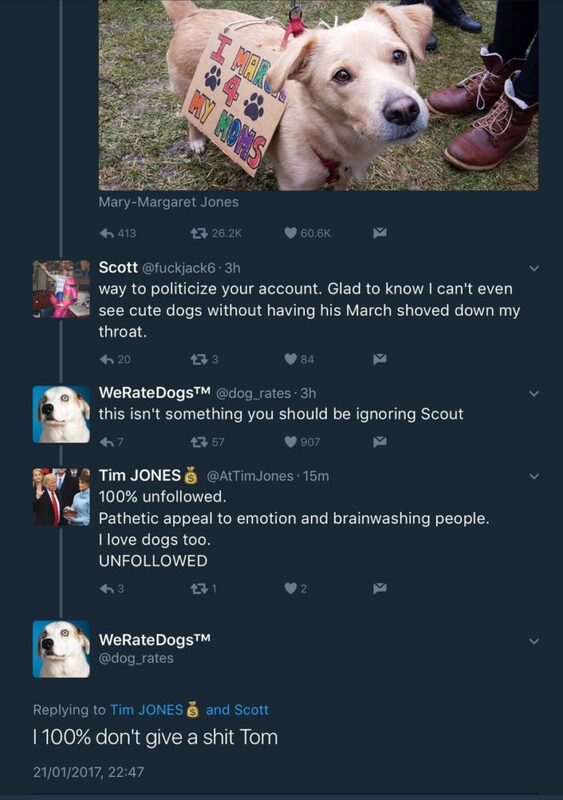 On Twitter, adorable animals have begun to resist the Trump agenda. User @dog_rates, an account that generally shuns politics for puppy pictures with nonsensical ratings, posted a photo of a lesbian-owned dog at an anti-Trump Women’s March. But this isn’t the only animal defying the Trump regime. Twitter account @EmergencyPuppy used to consist only of cute pictures of puppies. But after the election, the pups heard the call to action and began to cry out for revolution. That is a very serious puppy (in a very cute sweater). Maybe we shouldn’t be surprised to see animals joining the Resistance. After all, Trump’s GOP has declared war on the environment. And the animal kingdom has been on our side since the beginning. Remember when that bald eagle attacked Donald Trump? They tried to warn us. If only we’d listened.